Financial Analyst Jobs in Morningstar | Walkin Drive In Mumbai | 28th October 2017. Morningstar is going to conduct Job openings in Mumbai for Any Graduate, CA freshers for Financial Analyst. As the last Date is fast approaching for the Morningstar Company, candidates can start their preparation by checking out Morningstar Test pattern which will be helpful for the applicants to get placed in the Morningstar Company. Salary INR 4,50,000 – 7,00,000 P.A. This will be a good opportunity for those people who want to get a job in IT Sector. Who are having good command in MS Office (Excel, PowerPoint etc. ), as well as Prior Knowledge of IFRS GAAP, would be an added advantage. Candidates can utilize this opportunity to better future. 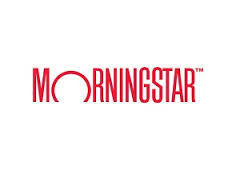 Morningstar is hiring graduates with 60% aggregate in all academic years. Contenders are suggested to check the official notification to avoid further complications. Competition for these vacancies is going sky high so we insist the candidates work hard and practice well for the Morningstar Recruitment. For other IT Jobs and Morningstar Placement Papers, candidates are welcomed to go through our site All India Jobs for more official stuff. Interested Candidates can directly attend the drive at the below mentioned venue. Assist in managing and developing a team of 10+ data analysts by providing clear direction, establishing SMART goals, and optimizing resource allocation. Identifies areas for improvement across the team and proactively takes steps to improve upon these weaknesses by offering ideas for individual and group training, and conducting or arranging individual and group training sessions as appropriate. Serve as an equity data expert for companies listed on global exchanges and demonstrate excellent judgment in selecting methods and techniques for obtaining solutions. Working closely with multiple global teams and across various functions. Participate regularly in global calls and meetings. Tracks, measures and reports on agreed daily, monthly and quarterly metrics to all stakeholders. Monitors researcher availability to guarantee minimum staffing requirements are met/exceeded. Assist the team to identify and eliminate roadblocks by partnering with technology teams and other database teams. Should be able to research complex projects leading to actionable recommendations and solutions. Sets goals and priorities for the individuals in the team in consultation with the Manager and Senior Manager/Director. Fair product knowledge, both upstream and downstream. Assist in promoting LEAN Six Sigma tools and methodologies as an analyst framework for assessing the root cause of issues and improving processes. Ensure appropriate methods and techniques to improve and maintain the highest quality standards in the data collected by the team. Acts as the main point of contact/manager for his or her entire team for all questions, comments, and concerns. Provides coaching and training to team members as appropriate and according to the specific needs of the individual and the group. Conducts performance reviews of each team member and explains/sets career development paths and opportunities for team members. Effectively motivates and rewards the team ensuring good overall morale. The Associate Team Leader oversees the management of the day-to-day activities for a sub-team of equity fundamental data that powers the Morningstar products and platforms. Typically, the Team Lead works closely with his or her team of researchers and Manager, as well as with the on-shore-based stakeholders to ensure that all the agreed deliverables from the team are met and that the team is fully equipped in terms of training and documentation. The Team Leader will be responsible for establishing his or her teams goals and aligning them with the organization’s overall goals and objectives. He or she will be accountable for ensuring and improving the performance, productivity, and efficiency of the teams and the delivery of the operational performance KPIs. This position would report to a Manager in the India Equity Data Operations team based in Mumbai. Hold sessions with the team to communicate any changes, issues, procedures or reminders. Communicate any questions, issues or recommendations with regards to process, workflow, technology, methodology, team morale etc. all stakeholders. Ensure adequate engagement levels of the staff to drive business results. Provide floor support by answering questions, solving issues that come up throughout the day and observing the dynamics of the team. Arrange for job shifts based on daily staffing requirements. Monitor production and quality for all researchers onsite. Willing and excited about working with and developing Team Members. Good people management experience is mandatory. Ability to Both Take and Give Direction & Criticism. Analytical (Must be able to interpret data and analytics in an operations environment). Excellent Organization Skills (Email, Task Management, Follow-up). Ability to Motivate and Build Relationships with Others. Shift Timings (Morning): 5:30 am to 2:30 pm (Pick up provided). Afternoon Shift (UK): 3 pm to 12 am (Drop provided). Night Shift (US): 8 pm to 5 am (Drop provided). Interested candidates can attend for Morningstar Recruitment on 28th October 2017 to the mentioned venue along with all required documents and filled applications. We also request candidates to check the official website before applying, attending the Recruitment. Any valid ID Proof issued by the government.